This post is written on behalf of Missouri Division of Tourism. All opinions are 100% mine. It’s almost summer, the kids are almost out of school and it’s almost time to start thinking about good old vacations. What do you think about when you hear, the great outdoors? What about a float trip, have you heard of it? Hunting and fishing at its finest, oh and nine zip line locations access the state. The world’s largest freshwater dive resort, or a place to go caving? Have you guessed it yet? It’s Missouri silly. Missouri sounds like loads of fun doesn’t it? If you’re the kind of person that love the smell of the great outdoors, you have to learn more about Missouri. Personally, I am learning a bunch writing this post. I had no idea there is currently 51 state parks, or that Lake of the Ozarks has more miles of shoreline than the entire state of California! I know, isn’t it crazy. Take your kids on a trip to the “Old West”. Teach them where the Wild West Began. There’s tons of great history. Visit the homes of great authors like Mark Twain. I know if I was to head to Missouri for a 4 day vacation I would try to pack as much fun into those four days as possible. We would hit up all the kids adventures listed above, but try to find time for some adult fun too. I personally would have to spend at least one night camping, my whole family love to camp so there wouldn’t be an issue there. With 51 state parks I doubt we would have a hard time. We would have to check out the Lake of the Ozarks, that is crazy “more shoreline than the state of California.” It just became a must see for me. Not to mention taking a float trip. Now if you don’t know what that is, you need to Google it! It’s fun times. I know my husband would have to hit up their one of a kind roller coaster, called Outlaw Run, and mom sure would have to do some shopping. We would have to eat some BBQ, I have heard it’s the best barbecue around. We would have to spend a few nights in one of their award-winning hotels such as The Raphael Hotel in Kansas City and the Four Season Hotel in St. Louis. There is so much to do, I know by the time we got home we would all need four more days to rest, lol. I know my mouth is on the floor right now, I had no idea the fun that I was missing. You’re going to want to like VisitMO on Facebook and follow VisitMO on Twitter. Before you leave take a moment and watch this video, you’re going to love Missouri too! How to Plan a trip to Bhutan? I have lived in Missouri all my life and love it here. We really do have the best lake vacation places and Branson is just the best! We like it so much, we got married down there. There is so much to do! I've wanted to visit Missouri for years! It's a very long drive from here but very doable! The lake in the pics above look beautiful! 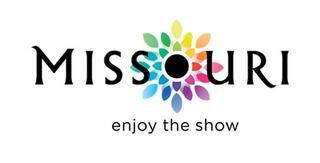 I will definitely start gathering more tourism info for Mo! It would be a change of our usually Gatlinburg Tn vacations! This is great information. Thanks VisitMO for stopping by and helping out Robin and our other readers. I had the privilege of living in Kansas City, MO for three years. I thoroughly enjoyed my time there. Missouri is a great state. My parents have been to Branson and within a week of returning home, they were already planning to return. I actually had a lot of fun in Missouri during a roadtrip several years back. The southeastern corner of the state is gorgeous and there are some awesome lakes and rivers. Would definitely go back sometime if I ever get a chance.